Hello again! 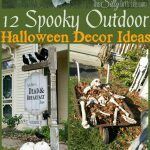 I’ve noticed a lot of people saying they don’t decorate for fall because Halloween is right around the corner or the decorations are not their style. 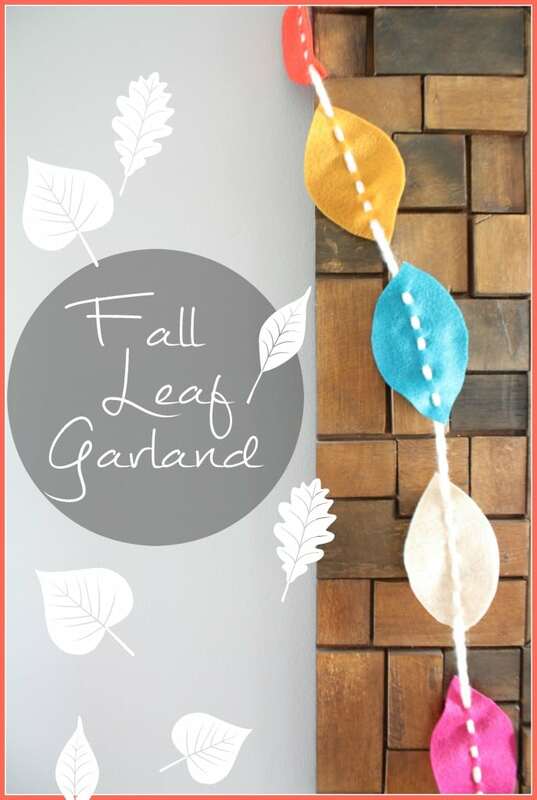 I made the most simple felt leaf garland that is super easy to customize by changing the colors to your favorite fall pallet. This craft could not be easier or cuter! I love how happy these colors play together. These colors were inspired by a jewel toned hat I’d gotten one year. I always buy amazing hats but never wear them. Maybe this year will be the year of hat wearing! If you follow me on Instagram, you’d have already seen these. Some people had asked for a tutorial and I thought Dana’s site would be the perfect place to share the love! The first step is to cut out your leaf pattern and trace it onto your felt. Use fabric scissors for an easier cutting experience. Once all your leaves are cut, fold each leaf in half (hotdog style) and snip little holes down the middle of the leaf. I would start in the middle and cut 4 to the right and 3 to the left allowing my thread to start and finish on the same side of the leaf after it was threaded. I suggest to do small snips and make them larger if necessary to make it look like you really sewed the yarn through the leaves. Once the leaf has it’s holes, use a piece of tape to make an aglet on the end of the yarn for easier threading. String all the leaves on your yarn and hang! Seriously. It’s that easy! I also did the same method to make a mini garland for our family command center but cut the leaves in half. The felt leaf garland was extremely simple to make but this bradded foam pumpkin was the easiest and fastest decoration I’ve ever made. I love his happy polka dots. It’s a nice change of pace from the orange/red/yellow standard fall decor I see in stores. I used 7 pieces of felt from the store which allotted several garlands. I even had enough to decorate my blog/craft desk! What’d you guys think? Simple enough? What colors would you use to match your fall decor? I think this would be a fun craft to do with your kids! Maybe use it as a count down or add a leaf for every book they read in the fall! Oh my gosh, Dana, this is super cute and super easy! I can’t wait to make it! Yay, my girls will love helping too. I’m glad you liked it Sami! I’d love to see what colors you and your girls use! I really like the fall leaf garland. It is so cute, but easy to make. Also, I am IN LOVE with the polka dot pumpkin! It is so adorable I think I’ll have to make one of my own. Great job! YAY Christie! You gotta make one! My friend found black round push pins that she used with a white pumpkin that looked super cute too! Thanks but I don’t have a baby (soon I hope! 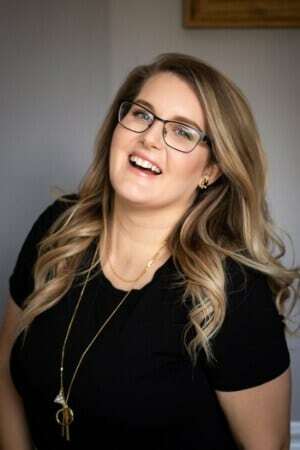 ), this is one of my contributors Shelly from DIYmamablog.com you can check out more of her projects there!! 🙂 Thank you Michelle. We’re partial to her too! 😉 Thanks for the re-pin!!! 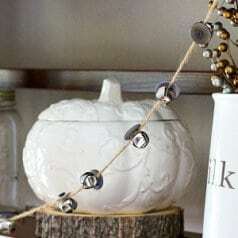 That garland paired with the adorable polka dot pumpkin is just perfect. Simple, understated decor, but still bright and fun. I love it! I thought so too! Not over done but still in the Fall spirit! Garlands are so much fun- this is one the kids would enjoy making! 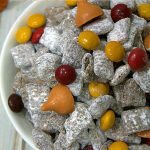 Thanks for sharing at Wednesday Whatsits link party! Garlands really are the best and a staple for every holiday/party at our house! I am a co-host for Wake-Up Wednesday Linky Party and would like to thank you for partying with us. Thank you for having us Tanya! Your post was so popular on our Wonderful Wednesday Blog hop that it will be featured this week! See you Tuesday night ! !